Espacio Cocina – SICI is one of the main reference forums in its field, where, with the backing of the Spanish kitchen sector employers’ association AMC, national and international firms of furniture, complements and equipment for the kitchen come together and where the latest trends and the most innovative products are displayed. 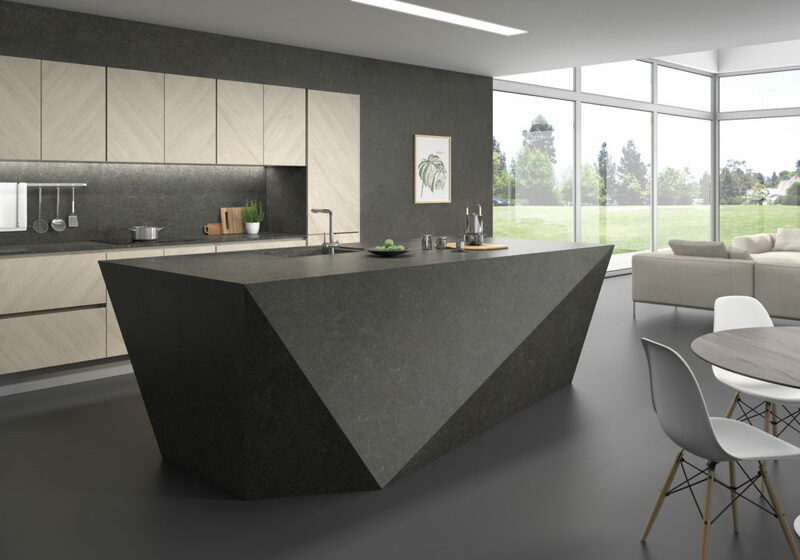 For this reason, this event is a valuable opportunity to promote the exceptional qualities of Arklam for kitchen countertops to the professional public (architects, designers, interior designers, installers, etc. ), coming from more than 140 countries, such as Italy, France, Portugal, Germany, Great Britain or Russia. 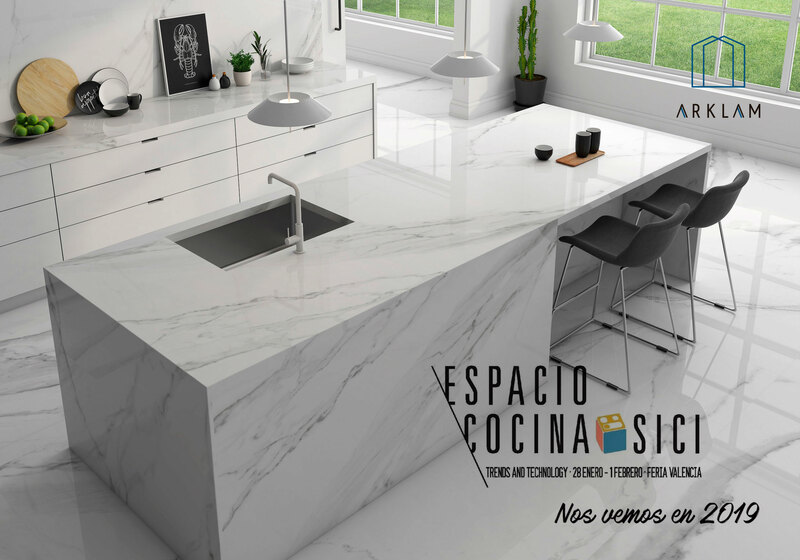 It should be remembered that in the last edition of Espacio Cocina – SICI (2017) 125 exhibitors participated and 7,500 visitors were registered, 15% of whom came from abroad. At the stand of Arklam-ITT Ceramic in Espacio Cocina – SICI, which will be located on level 3, pavilion 6, D103, you will be able to see in situ a countertop made with Arklam Super Size 12 mm, check in detail its high performance features and get to know in depth the new models of this range of sintered dough in large format (1500×3200), whose extraordinary quality has been recognised with the NAN Architecture and Construction Prize for the best material in its category. The surface of Arklam resists high temperatures and thermal shocks and not only withstands the high temperatures of a kitchen, but allows to use fire directly on its surface without suffering any damage. Arklam is a hygienic, compact and non-porous material, which is recommended for kitchen worktops, where hygiene is particularly necessary. In addition, the extreme compactness and non-porosity (< 0.5%) make it an optimal material for food processing directly on the surface, as there is no danger of a stain spoiling the material and it can be easily cleaned without leaving any trace of the food. As it is an impenetrable material and does not absorb greasy substances, the surface is easily cleaned. Another of the properties of the application of Arklam as a kitchen countertop is its resistance to scratching, an aspect to be taken into account in its daily use. In addition, Arklam is a totally environmentally friendly product, both from the point of view of its manufacture and the reduction of residues in its application, as well as in terms of its maintenance, since the amount of chemical products to be used for cleaning is limited. Discover here how to handle, cut, install, use and clean Arklam Super Size 12 mm.